It’s almost summer so make a splash with a new boat this year! Shop these amazing deals on Pontoons, Wakeboard & Fishing Boats, and SeaDoos. Not an on water person, there are ATV’s and Bikes for you too! 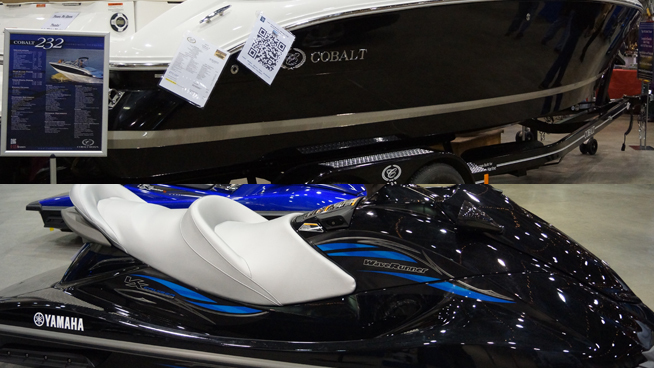 If you can’t find something you love here, you’re out of luck because this event boasts one of the largest displays of boats for sale under one roof. Presented by Heartland Park Topeka, this family friendly event has something for everyone! If you like hunting, fishing, outfitters, or camping, there is an exhibit for you! Best part? Kids 16 and under get in FREE! And for the kids there is a 40 foot aquarium and a kid’s catfish pond! 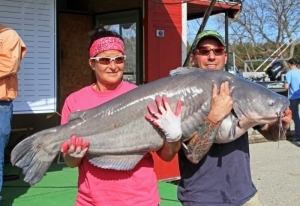 If you are a fisherman, check out the Catfish Chasers booth where pro tournament fishermen will be doing seminars to catch incredible fish like this one! For hunters you can see Ron Browning’s Medusa deer, ranked Top 25 mounts in the world! You can also see one of the heaviest racks ever recorded which spans 189 3/8 inches. 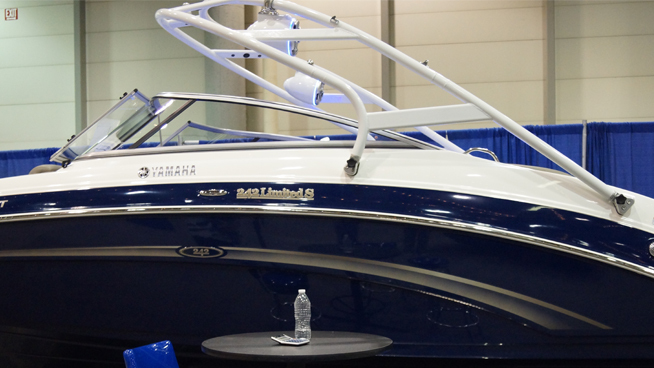 Follow the Topeka Boat & Outdoor Show on Facebook for specials and updates about the show HERE or follow the event page HERE! Kansas Expocentre, One Expocentre Dr., Topeka, KS with Free Parking!